Thanksgiving is only a few days away and I thought I would share with you my grain free corn bread muffins. I am incorporating more grain free foods into my diet because of my auto-immune disorder. Grains are hard for my digestive system to digest properly and they give me a lot of bloating issues. My family loved these and gave me the thumbs up to share them with you. There is nothing better than a good muffin with your yummy soup or holiday meal this next week with your family. Whisk all ingredients together, pour into greased muffin tins. These muffins can be made ahead and frozen to use later, they are a perfect substitute if you are looking for a gluten and grain free alternative this holiday season or in your general cooking. I hope you enjoy and have a wonderful holiday season with your family and close friends. This recipe is 21 Day Fix approved. The 21 Day Fix is a fabulous fitness and clean eating program I have used with several clients helping people lose lots of weight and inches. To know more about that program click HERE. yum!!! i love cornbread SO much. I am about 99% positive Haydan is allergic to wheat, it’s just yet to be concluded. I may try these. She LOVES cornbread. Oh man I am so sorry to hear about Haydan, but there is life after gluten for sure. I can’t wait to try these when I make some Turkey chili with my leftovers. Pinning. Thanks for the recipe. I need to try this. 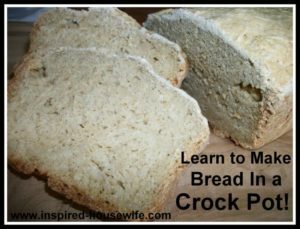 I haven’t liked the recipes I’ve used and would love a delicious corn bread.